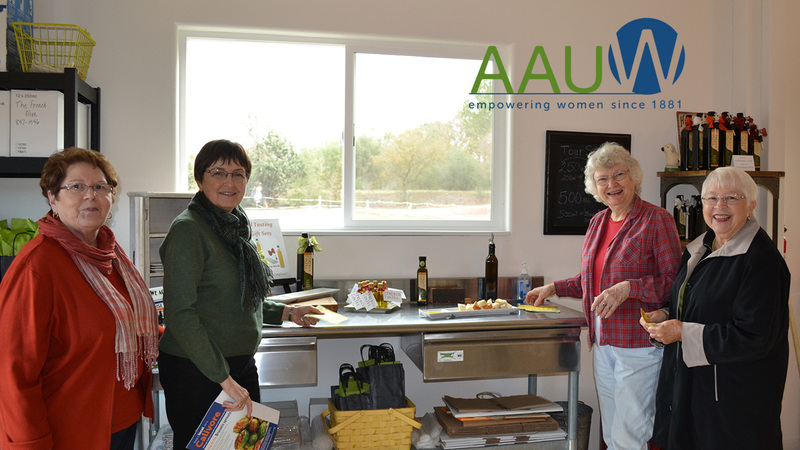 On December 3, 2015, The French Olive Ranch was delighted to host a tour for the local chapter of the AAUW (American Association of University Women) from Escalon. We were given the opportunity to show the ladies our tasting room and further their knowledge of the olive oil business. Our informal group seating and conversation allowed for open discussion and lots of Questions & Answers. After tasting oil and making purchases, the group was off to a local operation to learn about vinegar. A perfect paring and gift idea! !